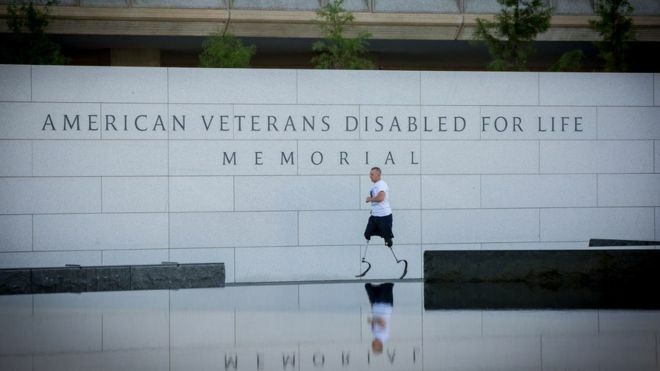 Rob Jones has invited the public to accompany him as he runs around Washington DC's war memorials to mark the US Veterans Day holiday. Mr Jones, who wears prosthetic legs to run, has embarked on other endurance challenges to raise money for soldiers. "My purpose is to help out my brother veterans," he said. "If you do something greater than yourself, it'll bring out the best of you," the former Marine corporal said.